Yay! Our JSBX tour posters sold out on just the first leg of the tour – hot damn! Here’s a dusky, blue, starry-eyed 2nd edition that Mr.Spencer ordered …enjoy! 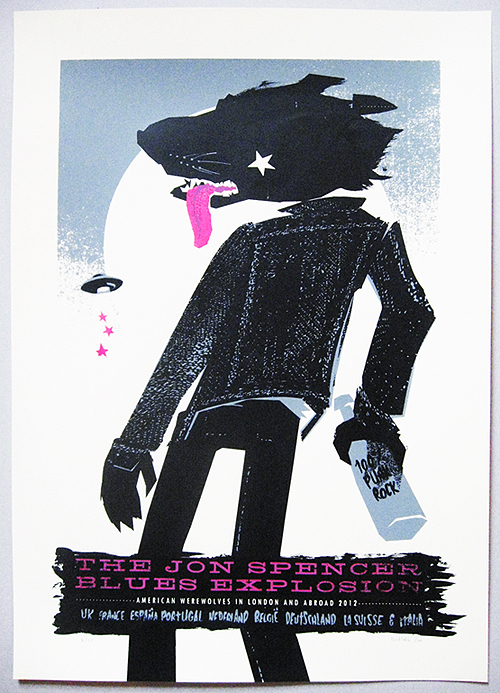 This entry was posted in Gigposters, Screenprints and tagged affordable art, art, blues, collectables, gig, gigposter, gigposters, jsbx, limited edition, petting zoo, poster, print, Prints, rock n roll, Scala, screenprint, serigraph, serigraphy, the jon spencer blues explosion, variant. Bookmark the permalink.